Thousands of medical clinics and spas all around the world have invested in HydraFacial and achieved success. It only takes around 29 patients experiencing regular Hydrafacial treatments to achieve a return on investment. 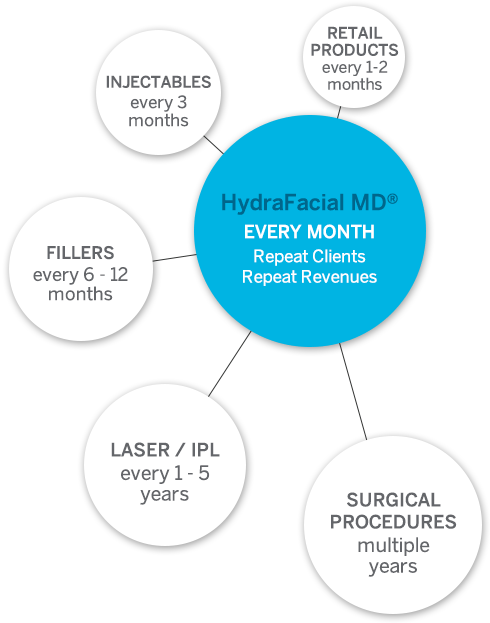 HydraFacial MD® device is one of the smartest revenue generating technology investments you can make. The treatment is affordable for patients, and provides instant, lasting results that keep them returning on a monthly basis. 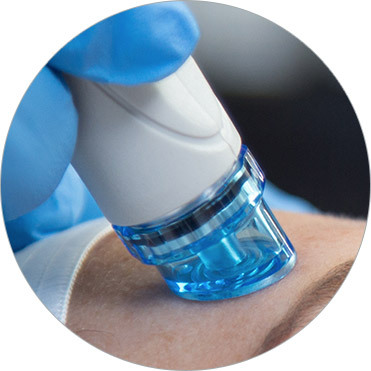 Because of this, HydraFacial becomes the focal point of your practice, allowing you to tie together all of your other services and generate substantial profit growth across all treatments. HydraFacial® is a 20-30 minute procedure that allows patients to fit professional skin care into their busy lifestyles without compromising results. The instantly noticeable improvement in skin tone and texture created by Hydrafacial achieves high patient satisfaction. Patients value the results and will pay a premium for the convenience that Hydrafacial offers.